Do you hear about Egypt in the news anymore? If you are someone who followed Egypt after the military coup in 2013 you probably came across very few articles here and there. News updates on explosions, bombing, and infrastructure accidents usually get the most attention, if any. However, barely anything is said in English on the unprecedented scale of human rights violations, political persecution, and the social frustration and pressure affecting the lives of millions of Egyptians. For decades and especially after the revolution in 2011, the Egyptian people who are experiencing human rights violations who are not English speakers, who reside outside of the center of attention don't get the same recognition internationals and celebrities receive when they are under the grip of the Egyptian state. Unfortunately, this is something international news agencies and many of the advocacy groups fail to understand and as a result it has been one of our main motivations to do our translation work. Earlier this year and for several months, members of our initiative coordinated with an aspiring human rights organization which shares the same concerns. 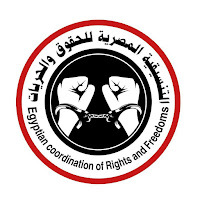 For two years now The Egyptian Coordination for Rights and Freedoms has been trying to offer a neutral grassroots documentation of the human rights crisis in Egypt regardless of the ideology, political affiliation, or social class of the victim or their families. Their incredible work received the attention and was cited in several human rights reports and news articles but they still struggle so much to reach a wider audience due to their limited resources and linguistic abilities. The following post is a translation by one of our members for a summary and an introduction to one of their major projects so far. The project was a detailed report on human rights violations since July 2013 and up until the end of 2015. We worked for a few months on re-writing and editing the English translation of the Arabic report. It was a very challenging piece of work. Unfortunately, the original translation was done by a group of Egyptian recent graduates who were arrested afterwards. This is highly important work that didn't get the attention it deserved then, it's almost 2016 now but much of what's in the report hasn't changed yet. Human Rights in Egypt: What could possibly be worse? Since the establishment of the Egyptian Coordination for Rights and Freedoms, it has issued more than 40 reports over the course of the past 18 months. In addition to the annual and semi-annual periodical reports, a special annual report was issued for the year 2015, monitoring and documenting the violations of the Egyptian authorities against its citizens over 2015. This report notably is the most comprehensive report on the state of human rights in Egypt since the events of July 3, 2013. The methodology of the reports is based on information gathered on a daily basis within "The Monitoring and Documentation Units" in the organization. 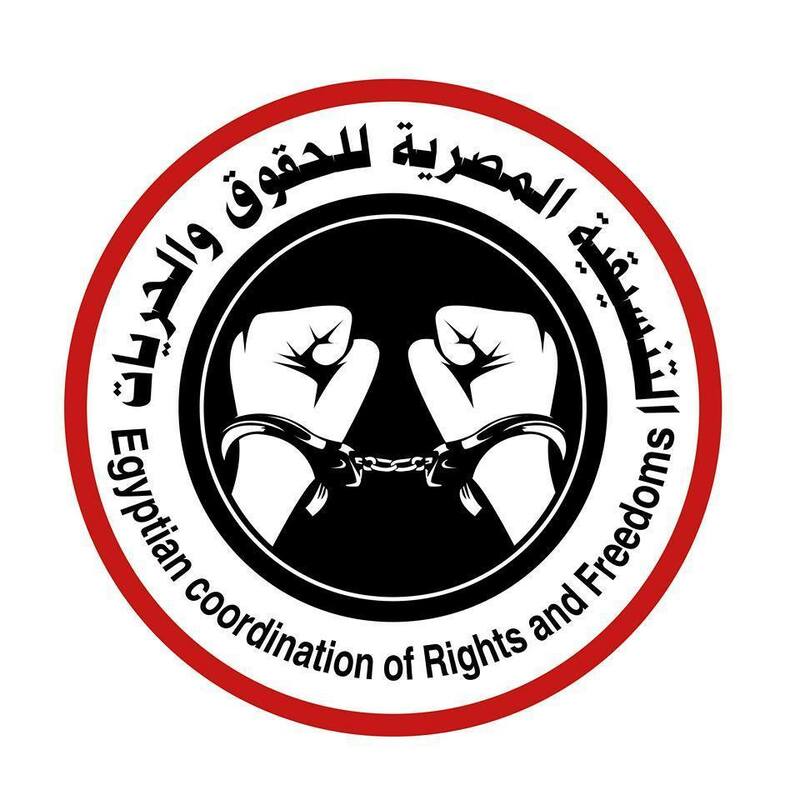 These units are connected to another team within the Coordination, the team of human rights activists and lawyers who are based all over Egypt and are working to monitor all violations against the rights of the Egyptian people, following websites and official publications. In addition, these different units are communicating directly with the victims of the violations and their families. -The first section deals with: "Violations of civil and political rights", and discusses the following violations: Murder, arbitrary arrests, forced disappearances, torture in prisons and detention places, death penalties on political basis, the siege of villages and towns, violations against the most vulnerable groups (Children and women) and people with special needs, violations against immigrants and refugees, military trials for civilians, violations against students and university professors, violations against lawyers and professionals, and violations against human rights activists and journalists. 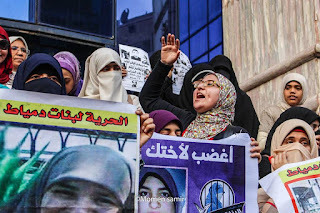 - The second Section deals with: "Violations of economic and social rights", and discusses dismissals from work places as well as another phenomena in the Egyptian society which is suicide. - The third section includes an explanation of the general environment or legal framework for human rights research. Arbitrary Killing: In 2015, the Egyptian Coordination monitored 335 cases of extrajudicial killings where: 7 citizens were killed by execution; 27 citizens were murdered through torture; 87 citizens were murdered by medical negligence; 50 citizens were murdered during protests; and 143 citizens were killed by live ammunition or by throwing them from the rooftops or by killing them in an unknown explosive accidents; apart from 21 dead due to sectarian violence. Torture: In 2015, 387 cases of torture were documented based on complaints received directly from victims’ families; a total of 876 cases of torture were documented, including cases without verification from victims’ families. Death Sentences on a Political Basis: We monitored 1763 cases that were referred to the Grand Mufti, including 1758 males and 5 females, of whom 4 defendants died in detention after referral to the Mufti. During the time period of the report, 729 death sentences were issued; of whom 427 were sentenced to death and their appeal has not yet been considered; 260 were sentenced to death and granted an appeal, granting a retrial; 7 were sentenced to death, their appeal was granted with a retrial, and then they were sentenced to death for the second time; 56 were sentenced to death, and they face retrial on lesser penalties or have been acquitted. Arbitrary Detention: We observed during 2015 approximately 23,000 cases of arbitrary detention of Egyptian citizens. Most of these citizens are under temporary detention, or have been referred to trial - military or civilian trials - in which they are not guaranteed a fair trial. Enforced Disappearances: We observed 1840 cases of enforced disappearance of Egyptian citizens during the period of observation; approximately 366 of these cases are still regarded as enforced disappearances at the time of this report’s publication, and we will attach to the report a detailed list about people who are still considered cases of enforced disappearance based upon testimony gathered from the families of the victims. Referral of Civilians to Military Trials: We observed about 6,048 referral of civilians to military courts including 578 students and minors, 74 doctors, 181 teachers, and 30 lawyers. Around 163 of these cases received a ruling, wherein 18 civilian citizens were sentenced to death, more than 1000 were sentenced to life imprisonment, and thousands more were sentenced to serve prison terms ranging from 7 to 15 years. Women: Our report confirms the continuation of state-supported oppression of the Egyptian women since July 2013 and until today. Oppression of women included all kinds of abuse, ranging from murder, enforced disappearances, arbitrary detention, violations against minors, mothers, and wives, and arbitrary sentences. There have been more than 2,000 women and girls detained in the period from July 3, 2013 until the end of 2015. As of this report’s publication, there are still sixty (60) women subjected to arbitrary detention by the security forces, some of whom have faced fabricated accusations on political basis. Children: Egyptian minors are exposed to sever amounts of violations, over 2015 there were 630 arrests, 16 cases of extrajudicial killings, 250 cases of torture, 121 cases of enforced disappearances, and 89 cases medical negligence inside prisons. People with special needs: The Coordination monitored 480 cases of detention, arrest and court rulings against people with special needs or disabilities. Refugees: According to official sources, there are 80,000 Syrian refugees in Egypt, other sources indicate that the number of Syrian refugees in Egypt has increased to 250 thousand. Refugees were exposed to serious violations including arbitrary arrest and forced disappearances, in addition to restrictions on the issuance of residence permits which forced many of them to escape Egypt through different ways. We managed to monitor the presence of 44 Palestinians in Egyptian prisons and four cases of enforced disappearance. 1. The killing of 4 journalists in different violent incidents. 2. The enforced disappearance and torture of 14 journalists. 3. 193 instances of physical abuse during media and press coverage. 4. 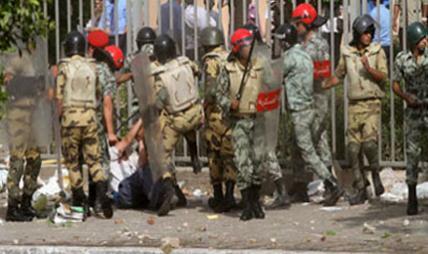 50 cases of arbitrary detention of journalists. 5. 38 journalists and media workers were referred to criminal trials, whether civilian or military trials. 6. 12 TV programs were prevented from airing. 7. Egyptian security and/or police raided the headquarters of 14 newspapers, satellite television channels, and news websites. Freedom of Movement: During this period the siege of several villages and cities was observed in various governorates of Egypt, preventing citizens from moving freely, restricting them, and arbitrarily detaining a large number of citizens. In addition to this, a large number of citizens were prevented from traveling, particularly jurists, journalists, and community figures. 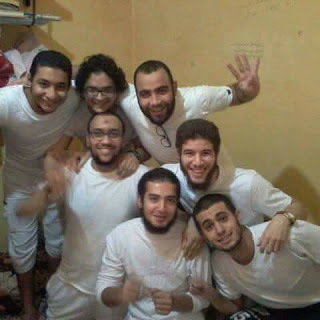 The number of Egyptian prisons increased from 42 to 51 after nine new prisoners were built in 2015. The rise of suicide rates and incidents in Egypt raised red flags and media attention last year. The Coordination monitored 215 suicide cases in 2015 alone, 174 of which of were males and 41 females. 52% of the suicide cases are for people between the ages of 18-35. In the same context, the report monitored that the administrative body of the Egyptian state has listed more than 5,000 government employees working in various ministries and ordered their dismissal based on charges of “belonging to political and/or religious organizations” without evidence of any crimes. Among these names were 51 judges, 671 media worker and journalists, 46 university professors, and 200 teachers who were all dismissed from work on political basis in 2015 alone. At the end of the report, The Egyptian coordination recommended that a neutral investigation committee needs to be established in order to examine all the reports and complaints regarding the violations of the political, human, and social rights of the Egyptian citizens. The Coordination demanded the assertion of the right to freedom of expression, the immediate cancellation of military trials for civilians and the release of all civilians convicted in military trials, the immediate cancellation of “Protest law” and other similar restrictive laws and releasing all political prisoners who’re arrested under their pretext, and finally reviewing all political death sentences in the past 3 years and asserting the right of those sentenced to death to fair civilian trials. The Coordination also demanded that the United Nations and the international community have a serious participation in pressuring the Egyptian state to abide by and respect international human rights covenants, measurements, and laws. Finally, the Egyptian Coordination for Rights and Freedoms asked that the UN and the international community should have an open position and not be silent on the violations of human rights taking place in Egypt. The Coordination emphasized the dire need to support and amplify the efforts of local civil society and human rights organizations operating under critical conditions so that they can continue to do this work and be committed to serving the Egyptian people and the victims of human rights violations.